Catalogue > Cities: maps and sights of cities and villages > 5. Utrecht > WIJK BIJ DUURSTEDE. Veldpoort en Vrouwenpoort. 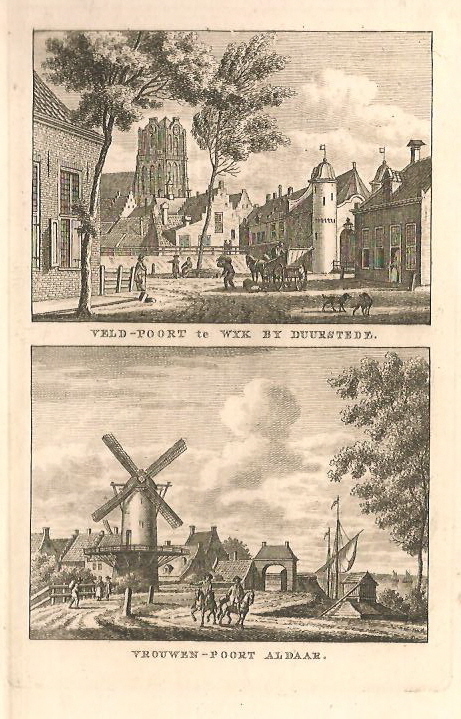 VELD-POORT te WIJK BY DUURSTEDE. / VROUWEN-POORT ALDAAR.